CoffeFresh Descale & Cleaner is the ideal concentrated descaling solution for both home and industrial appliances. Our concentrated formula uses citric acid, aluminum salts and sulfamic acid to powerfully and safely dissolve lime scale, minerals and oils that are left over from normal everyday use. Each package comes with 4 pre-measured packs that simply dissolve, brew and mix to keep your appliance components clean and your beverages tasting fresh. Use as required to keep your appliances functioning optimally. 1 Package of CoffeeFresh Descale & Cleaner contains 4 packets. Honey-Can-Do KCH-02340 Coffee Pod Drawer, Steel. Wake up to a perfectly organized coffee station! Start your morning right and easily find the coffee flavour you crave with the 6 compartment design. This is great for the home or work place, and is a fantastic space saver. The drawer is capable of easily storing 36 coffee pods. The drawer is constructed from powder coated steel featuring a foam padded top to absorb vibrations. Large capacity bean hopper with safety lid and removable ground coffee container. Cup selector to set the amount of beans to be ground from 2 to 12 cups. 17 grind settings to obtain the perfect grind for all brew methods from espresso to filter coffee. 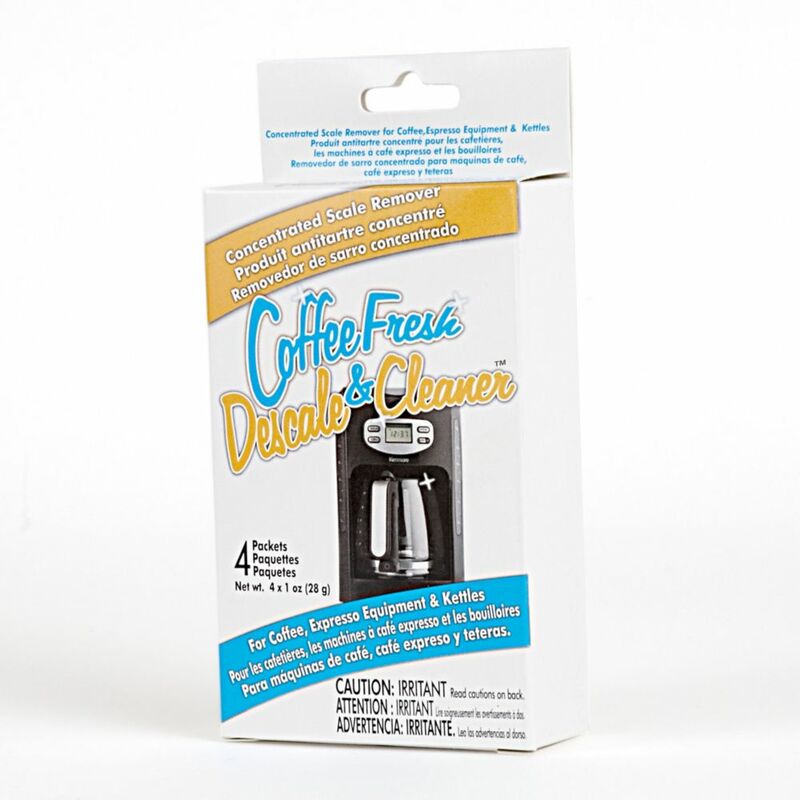 CoffeeFresh Descaler & Cleaner CoffeFresh Descale & Cleaner is the ideal concentrated descaling solution for both home and industrial appliances. Our concentrated formula uses citric acid, aluminum salts and sulfamic acid to powerfully and safely dissolve lime scale, minerals and oils that are left over from normal everyday use. Each package comes with 4 pre-measured packs that simply dissolve, brew and mix to keep your appliance components clean and your beverages tasting fresh. Use as required to keep your appliances functioning optimally. 1 Package of CoffeeFresh Descale & Cleaner contains 4 packets.